AFC Telford United have extended goalkeeper James Montgomery's stay at the Bucks Head by signing him up for a further season. The relegated Conference club have also recruited Hednesford midfielder Tom Thorley, 25, on a one-year deal. The ex-Worcester City player has helped the Pitmen to the Conference North play-offs in the last two years. Montgomery, 20, whose great uncle is Sunderland legend Jim Montgomery, finished the season as first-choice. Since then, Telford boss Steve Kittrick has released two keepers, Freddy Hall and Jonathan Hedge. 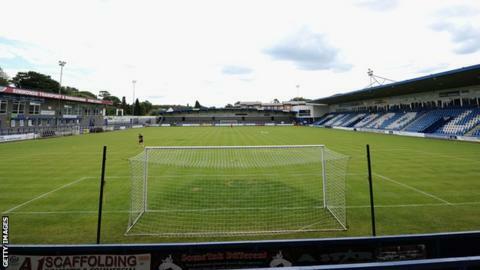 Prior to Thorley, Telford had already made four signings, former Shrewsbury Town defender Ian Sharps, 34, who finished the season on loan at the club, fellow defender Matt Bailey, 29, striker Neil Harvey, 31, and midfielder Jay Denny. They have also agreed new deals with winger Sean Clancy, 27, midfielder Mike Grogan, 26, and full-back John Disney, 23.